Marsupials are cool mammals. The youngsters are born very, very early. So early in fact they are the size of a jelly bean. These pink wrinkly little joeys develop for several months outside of the womb protected inside a nice warm, cosy pouch. Immediately they can climb up the pouch with well-developed arms to find their mothers teat to feed the nutritious milk. A pretty impressive start to life. The more familiar marsupials are the cute (but ferocious) koala (Phascolarctos cinereus), the funky looking kangaroos (Macropodidae), and the cuddly wombats (Vombatidae). All of these are Australian, but there are some marsupials living in South America too, including a very large number of different, but rather delightful, genera of opossums (Didelphidae) and the unbelievably adorable monito del monte (Dromiciops gliroides). Ancestors of marsupials have been discovered in China in rocks from around 120 million years ago. 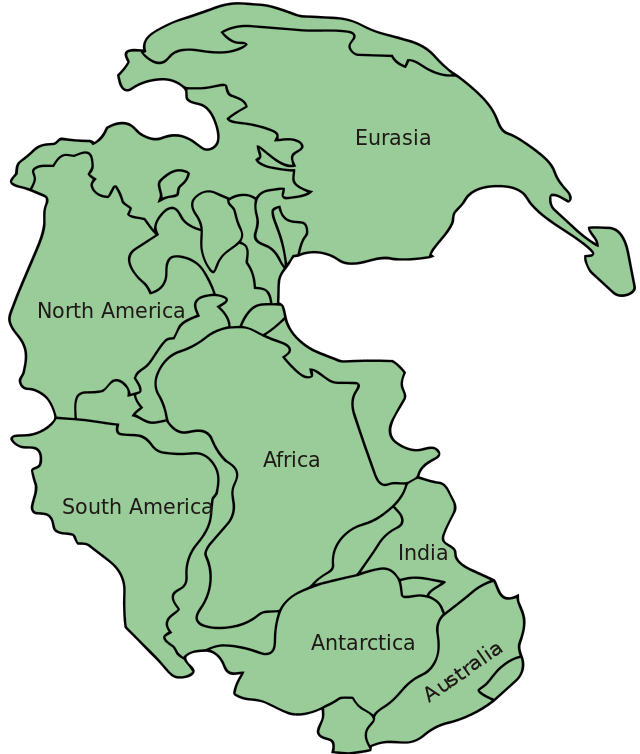 Back then, all the continents as we know them today were joined together as one enormous landmass, Pangaea. It began to break apart around 100 million years ago: slowly being ripped apart by enormous tears in the crust that wept thick, hot magma, pushing land in opposite directions. This was painstakingly slow: about the rate of your finger nails growing in a year. The earliest definite marsupial fossils we currently know of are from present day Montana, North America, dating to around 65 million years ago. North and South America began to split apart around this time, but not before some marsupials made it to South America. In North America they became extinct, but they thrived down south, hopping across what we would call Antarctica and east to Australia (all of which were connected). As Australia slowly split away from Antarctica, it drifted along the asthenosphere, isolated from the rest of the world. Here, with fewer placental mammals to contend with, the marsupials were free to evolve into some incredible forms. From the largest marsupial to have lived, Diprotodon optatum to the familiar kangaroos hopping around today Australia was home to amazing creatures. This really was “The Lost Continent” slowly drifting, evolving its own magnificent animals. Unique to Australia are the familiar kangaroos, the family (Macropodidae) that is a very large and diverse group which not only includes the kangaroos we are familiar with, but also the tree-kangaroos, wallabies and several others. Commonly, ‘kangaroo’ refers to the large, bipedal, hopping marsupials, of which there are four species alive today; the Red Kangaroo (Macropus rufus), the Eastern Grey Kangaroo (Macropus giganteus), the Western Grey Kangaroo (Macropus fuliginosus) and the Antilopine Kangaroo (Macropus antilopinus). In the recent past, there were others. There were some so bizarre they could have dropped straight out of a B-movie. The Giant Short-Faced Kangaroo (Procoptodon goliah) was perhaps the strangest of all the kangaroos. It would have peered down on me with my mediocre 6ft height: reaching 6ft 6inches this was the largest kangaroo ever. Undoubtedly strong, this giant would have had no problem with the surprisingly difficult Patrick Swayze lift, picking me up with ease and lifting me 3 meters from the ground. Chances are if we actually met one today that wouldn’t happen. Apart from it being pretty unlikely they would have seen Dirty Dancing, P. goliah have very peculiar fingers which are not adapted for such delicate lifts: the two middle fingers on each hand were elongated ending in sharp claws. The feet were peculiar too as they ended with a hoof-like toe, shaped like a claw. This was unlike any kangaroo you have seen before. As the name suggests, the Giant Short-Faced Kangaroo, had a flat face, not the familiar deer-like elongated nose of kangaroos today. Richard Owen (who else?) 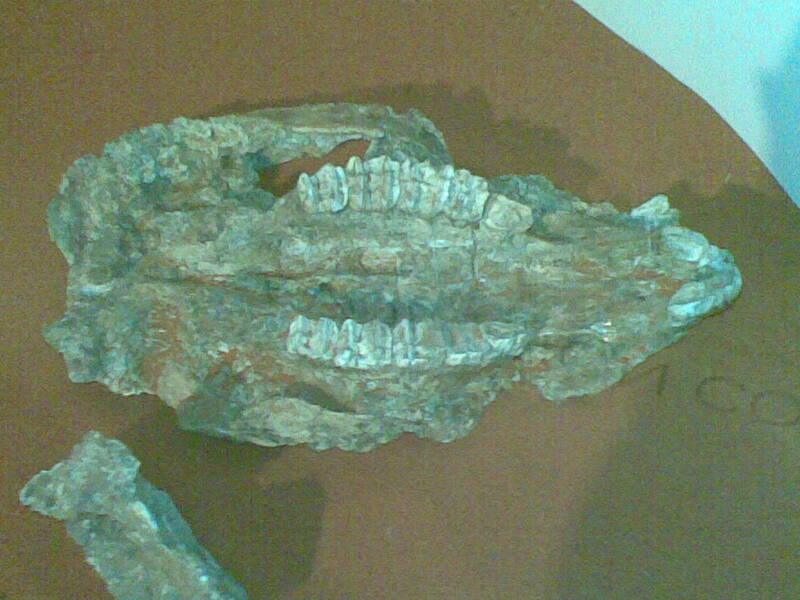 originally described this creature as a fossil belonging to the genus of extant kangaroos, Macropus, but later assigned it to a whole new Genus, Procoptodon. P. goliah belongs to the now extinct Sthenurinae subfamily which shared the feature of a hoof-like toe at the end of each foot. With two main groups which split sometime during the Pliocene, the long snouted (Dolichocephalic) and the short snouted (Brachycephalic), the Sthenurinae were a very successful branch of kangaroos. Fossils of the Giant Short-Faced Kangaroo have been found across Australia. From the first finds in the mid-1800s at Lake Menindee, New South Wales, to Darling Downs in Queensland this appears to have been a widely spread species. Recently, in 2002, a spectacular site in Western Australia, Nullarbor Caves, was found to hold full skeletons of the Giant Short-Faced Kangaroo along with several species of Australia’s unique Pleistocene fauna. Interestingly, while Nullarbor sounds like it could be an aboriginal place name, it actually comes from the Latin for “No Trees”: Nullus Arbor! Although that sharp spiked hoof-toe may have been used in combat between other males competing for a female, it would have been a good defence against predators. And the Australian Pleistocene was not short of predators. Pretty big predators. Fossils of the largest lizard ever, Megalania, have been found at locations where P. goliah has been excavated. Several perfectly preserved skeletons of the incredible Marsupial Lion (Thylacoleo carnifex) have been found at the Nullarbor Caves along with the Giant Short-Faced Kangaroo. Did the marsupial lion drop down from trees onto these freaky looking kangaroos to feast? What Procoptodon goliah actually ate isn’t very clear. Many have suggested it was a generalist browser with the long arms and those hooked hands used to pull down branches. What if this kangaroo ate meat as well as vegetation? Some of the features of the skeleton do suggest an omnivore lifestyle. The face was flat with eyes facing forwards, a feature of predators who need their eyes looking ahead to focus on prey (herbivores on the other hand have eyes at the side of their heads; think of zebras on the Serengeti). The long hooked arms may have been used to catch small reptiles or mammals to feed on. Large, robust molars indicate feeding on tough vegetation, but can it be ruled out that this diet was supplemented by the occasional little koala? This was an unusual kangaroo, and as more fossils are studied, more information about this incredible giant’s lifestyle will be revealed. This was recently demonstrated by a study into how this enormous beast moved. Very recent research examining the extremely well-preserved leg bones of specimens excavated from Nullarbor Caves has provided an unusual insight into the giants gait. Instead of hopping, as you would expect a kangaroo to do, it appears Procoptodon goliah walked. Ankle and hip fossils suggest that it would have stood upright and walked one step at a time. There appears to be a maximum size limit: hopping for a kangaroo this size would have ripped tendons in the feet and legs. Big hips also point towards another feature unique to bipedal animal: large buttocks. Big butts actually help support our bodies when we lift one leg up to walk. And we can not lie. Humans did see these animals before they became extinct. Island hopping from Asia, humans crossed into Australia sometime around 50,000 years ago. These two bipeadal mammals overlapped for around 20,000 years before the giants vanished. There are still stories amongst the Australian aborigines with descriptions of what could only be the Giant Short-Faced Kangaroo. Although they overlapped, there is little evidence of human butchery on fossil remains. 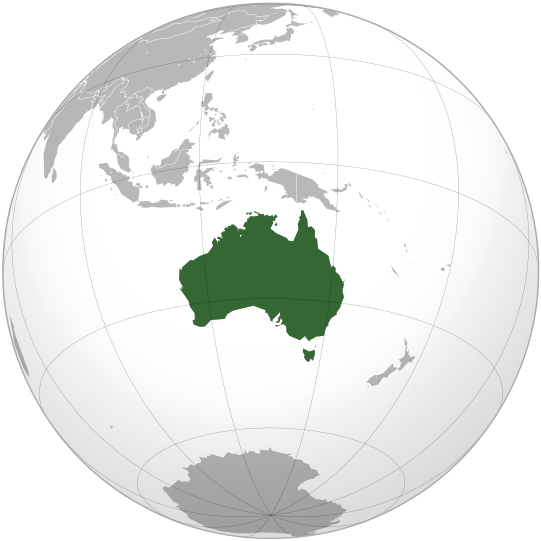 Australia was a continent where the climate was changing constantly. Forests shrank as the climate became drier, and some areas experienced extreme droughts. Local extinctions may have taken place, leaving small refugia clinging on which never managed to regain the numbers they once had. To witness a mob of flat-faced, big bottomed kangaroos walking across the landscape surely must have been one of the most wonderful sights our species has ever witnessed. Merrilees, D. and Ride, W. D. L. 1965. Procoptodon goliah (Macropodidae, Marsupialia) from western Eyre Peninsula, South Australia. Transactions of the Royal Society of South Australia 89, 139-142. Owen, R. 1873. Procoptodon goliah, Owen. Proceedings of the Royal Society of London 21, 387. Prideaux G, (2004). “Systematics and evolution of the Sthenurine kanagroos’, University of California Publications in Geological Sciences 146: 1. [Full article]. This entry was posted in Giant Short-Faced Kangaroo and tagged Antilopine Kangaroo, Brachycephalic, Darling Downs, Didelphidae, Diprotodon optatum, Dirty Dancing, Dolichocephalic, Dromiciops gliroides, Eastern Grey Kangaroo, Giant Short-Faced Kangaroo, Kangaroo, Koala, Lake Menindee, Macropodidae, Macropus antilopinus, Macropus fuliginosus, Macropus giganteus, Macropus rufus, Marsupial, Marsupial Lion, Megalania, monito del monte, Nullarbor Caves, Opossum, Pangaea, Patrick Swayze, Phascolarctos cinereus, Procoptodon goliah, Queensland, Red Kangaroo, Richard Owen, Sthenurinae, Thylacoleo carnifex, tree-kangaroos, Vombatidae, wallabies, Western Grey Kangaroo, Wombat. Bookmark the permalink. Very nice article. 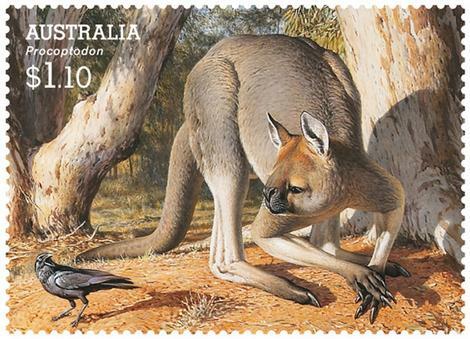 I believe the “unknown artist” on the Australian stamp is Peter Trusler, going by the image credit on this page.